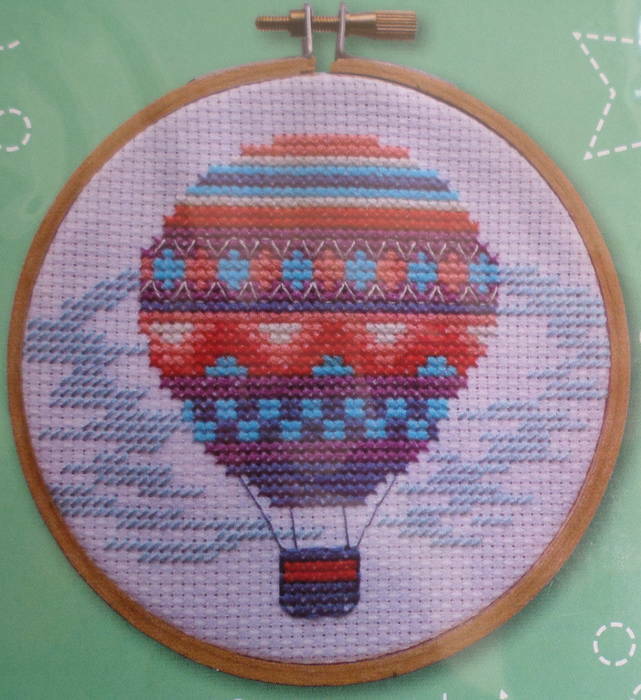 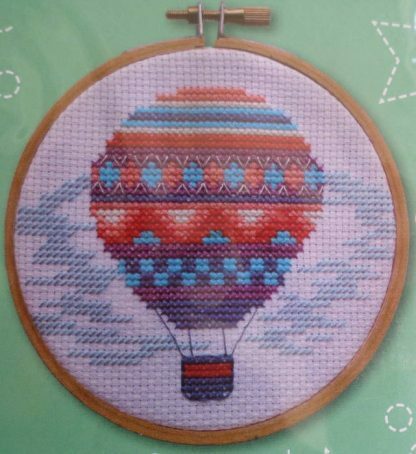 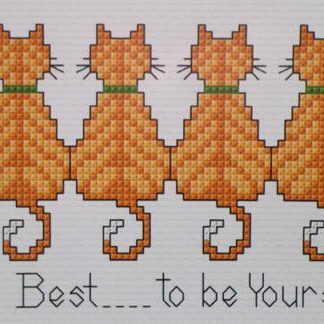 A cross stitch kit of a hot air balloon. 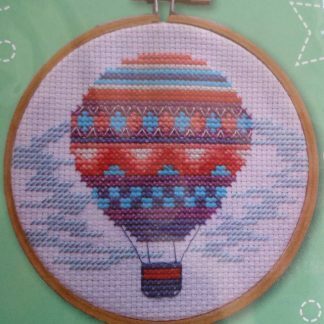 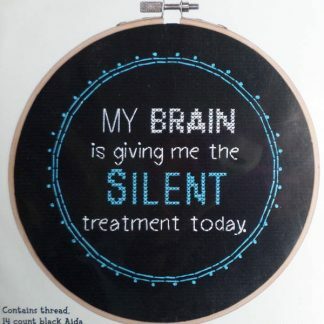 The kit includes 14 count White Aida, DMC cotton threads, a needle, a wooden hoop and full instructions. 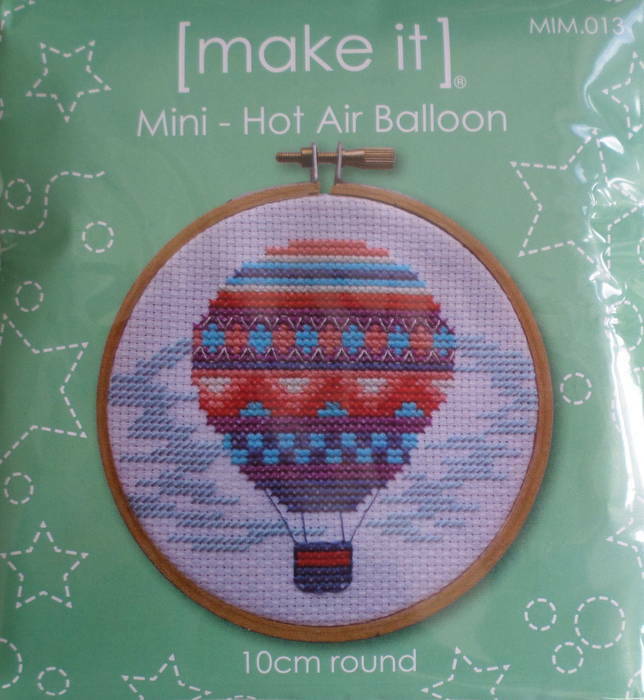 The hoop measures 10 cm round.